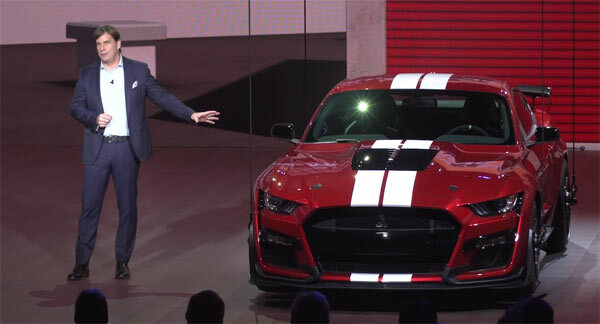 AmericanMuscle’s Justin Dugan was like a kid in a candy store at the 2019 North American International Auto Show for the reveal of the all-new 2020 Shelby GT500. Filming from the COPO Center in Detroit, Michigan, Justin dives deep into the GT500 discussing everything from colors, packages, aero, cooling, wheels, brakes, tires, suspension, exhaust + more! Also featured in this episode is some one-on-one time with Chief Engineer Carl Widmann from Ford Performance and Ford’s Chief GT500 Designer, Melvin Betancourt to discuss some of the finer design elements and story behind the all-new 2020 Shelby GT500. Next Story → Tesla vs. Muscle Car: Unfair?